USA-1 Auto Sales is proud to be providing the South Bend, IN area with our top-notch service and inventory. We have many great used cars for sale for you to choose from. Even if you have terrible credit or no credit, we can work with you to get you back on the road in a vehicle you like. We also make it easy to trade your car in with a fair price. No matter what you are looking for, take your search to your dealer financing location and find out what we can do. Directions to USA-1 Auto Sales Elkhart from South Bend, IN. Directions to USA-1 Auto Sales Goshen from South Bend, IN. If you are in the South Bend, IN area and looking for used cars for sale, but have bad credit, there is only one place to go. USA-1 Auto Sales has a large selection of used cars for sale and are able to help you no matter your current credit situation. Bad credit, no credit, or any situation, we can take care of you and get you back on the road with a smile. If you are in the market for used minivans for sale, you should come to USA-1 Auto Sales near the South Bend, IN area. We have a large inventory for you to check out online or in person. You can schedule a test drive in one of the vehicle's you like. Our finance center is ready to answer your questions and help you get into a used minivan for sale no matter your credit situation. The finance center at USA-1 Auto Sales is ready to help South Bend, IN get back on the road and into a car that they love. Even if you other places turn you down for a loan, your Buy Here, Pay Here dealer can get you approved. Stop in and let us show you want we can do, even if you have no credit or terrible credit. When you buy your next car from USA-1 Auto Sales we make it easy to get a great deal on your trade-in. Use our easy-to-use online form and get an estimate of what your trade-in is worth. 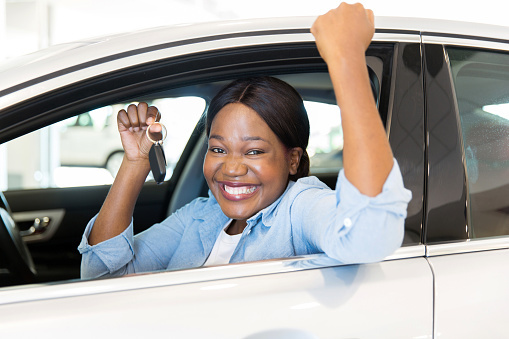 We help you save time and money because you do not have to waste your time finding a private buyer for your old vehicle. For more details on our new cars for sale or used cars for sale and the services we provide to drivers in and around the South Bend, IN area, please feel free to contact us through our website or call us at 574-264-1001 or 574-971-8484 .